Now that I have finally resumed life as normal after Comic Con, my mind is reeling with next week's adventure at Gen Con. 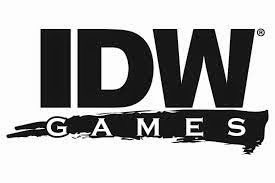 While not specifically linked to comics, I did meet Cullen Bunn last year and am looking forward to checking out some games from IDW. Kill Shakespeare looks to be a promising game and the Chew game will be a must purchase. Oh yeah, they are also working with a small property that some people like called the X-Files. In the meantime here is what I read this week and what is worth your time and hard earned money. 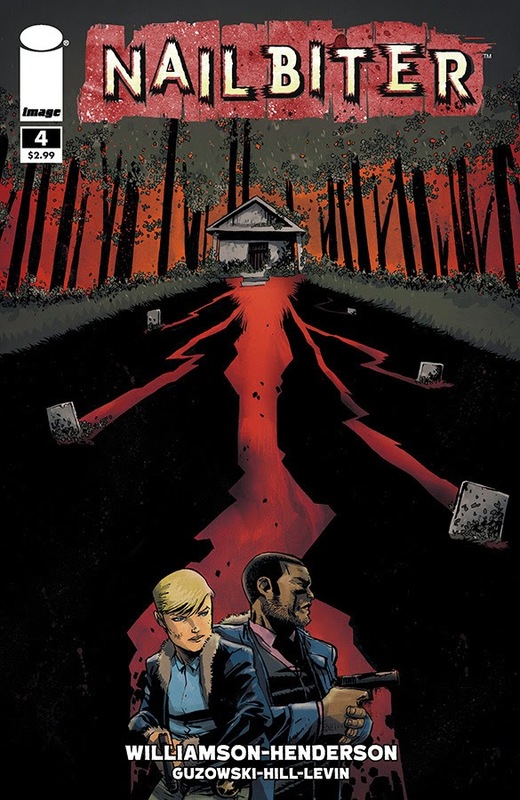 Nailbiter #4 - I was introduced to Joshua Williamson's writing with Ghosted (which you should go buy) and was immediately a fan. When I heard he had a new horror title with Image I knew that I should check it out. Nailbiter has been amazing since issue #1, but this issue featured the jaw-dropping moment that solidifies this as one of my favorite series. Nicholas Finch and sheriff Crane literally start to get to the bottom of the mystery as to why 16 serial killers all had roots in this small town. This issue had me on the edge of my seat as Finch and Crane attempted to dig up the grave of the Book Burner, the serial killer that spawned the Buckaroo Butchers. It might be premature, but I have already to put together a wish list for what should be included on a nice deluxe hardcover trade of this title. It really deserves the royal treatment once Williamson finishes the first arc. 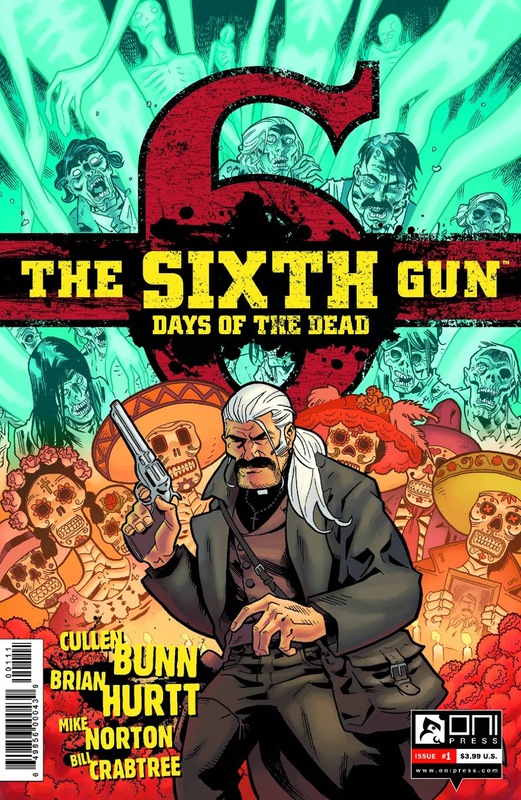 The Sixth Gun: Days of the Dead #1 - When you have a book as special as The Sixth Gun, spin-offs provide great insights into the complex characters that Cullen Bunn has created. I thoroughly enjoyed the Sons of the Gun spin-off that shined light on the holders of the six, and with Days of the Dead providing insight into the Sword of Abraham, the Pinkertons, and the Knights of Solomon. The only problem I have with this title is that it is over and I'm not sure how long I will have to wait for more background on these mysterious groups. As usual, Brian Hurt delivers a gorgeous book and Bunn lets readers explore the amazing world he has created with this title. I am so happy that there is a plan for an ending for the main series, but so many great excuses to return to the world of the six. 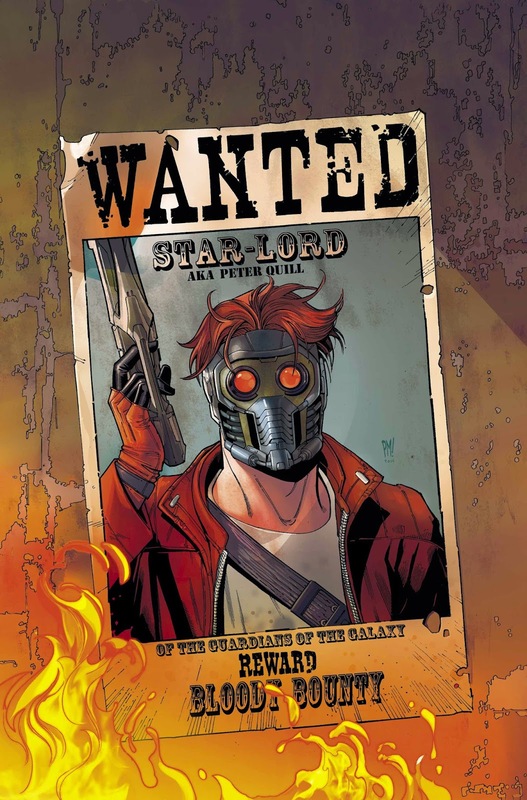 Legendary Star Lord #2 - Peter Quill has a past that is likely to catch up to him. Due to his past indiscretions, Quill is actually a pretty selfless and likable guy. He may be a little cocky and may not use the most orthodox methods, but Star Lord seems to becoming a staple in the Marvel Universe rapidly. This series is off to a solid start and I will continue to pick it up as I am intrigued by Quill's past and why he is seeking Thanos. If you are a fan of the movie, then you will be a fan of this title. Imperial #1 - Mark McDonald is a guy that most comic book readers can relate too. He corrects his girlfriend on how comics and graphic novels are different, doesn't like his action figures called dolls, and isn't afraid to wear a baggy hoodie with a monkey on it. Things change for McDonald when Imperial, the superhero of this tale, selects him to be his successor. While not the most original concept, Imperial has genuine moments of humor and a cast of likable characters. Definitely worth checking out. 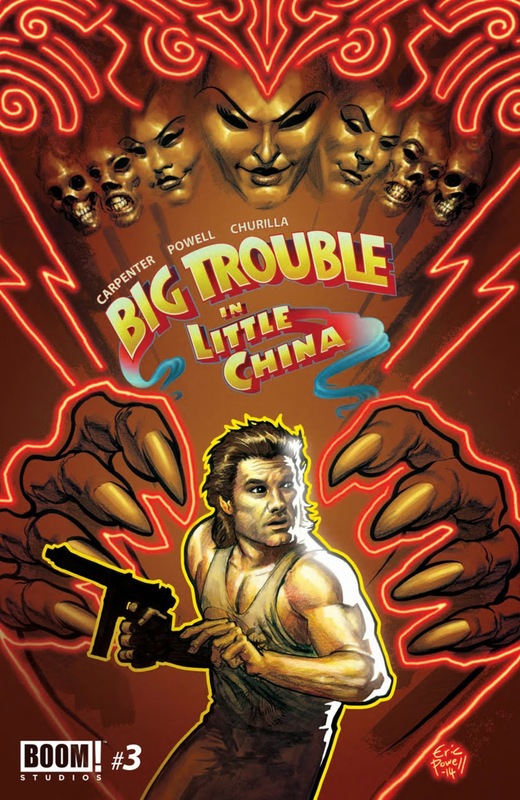 Big Trouble in Little China #3 - I really want to like this title. The overall story is good and would be a fitting sequel, but the gags and jokes just fall flat. If you enjoy fart and pee jokes, then maybe this is the title for you. I might continue to read this as a fan of the classic John Carpenter film, but can't imagine anyone not familiar with Jack Burton and the Pork-Chop Express would show any real interest in this title. There is enough to keep me along for another issue, but that is mainly to see the rebirth of the three storms. POSTED BY MIKE N. -- comic guy, proudly raising nerdy kids, and Nerds of a Feather contributor since 2012.